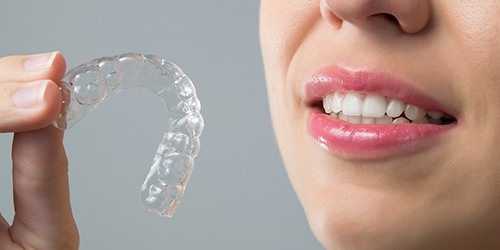 If you’ve heard of Invisalign, you know it’s a clear braces system that allows you to straighten your teeth without the stress or embarrassment of metal brackets and wires. 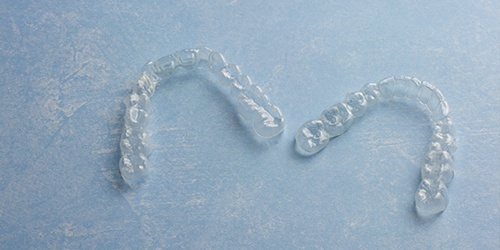 Over 4 million patients have had their teeth straightened with Invisalign. Did you know there is now an even faster method available for more patients with Invisalign Go? This treatment option allows people to enjoy straighter teeth and more attractive smiles in as few as three months. And Invisalign Go is now available from Dr. Bita Kamali, your dentist at Parkway Vista Dental! How Does Invisalign Go Work? The great thing about Invisalign Go is that it opens orthodontic treatment up to more people. Your general dentist is now equipped with the technology necessary to take on orthodontic treatment cases. The Invisalign team of experts is in close contact with your dentist throughout the whole process -- from identifying whether or not you are an eligible candidate to the actual treatment itself. During the planning phase, Dr. Kamali can provide you with a clear view of your treatment journey. ClinCheck software helps you know just what to expect each step of the way, including what your final results will look like! Then, the Invisalign lab will manufacture the aligners according to your specific dimensions and send them back to our office. Once you have your aligners, we will walk you through Invisalign maintenance and upkeep. You should wear the trays for 20 to 22 hours each day, removing them only to eat, drink, brush, and floss your teeth. Clean your aligners regularly and notify us as soon as possible if a tray warps, breaks, or is lost to avoid delaying treatment times. We will schedule a visit every six weeks to ensure you are advancing through the Invisalign Go treatment properly. The average treatment time for Invisalign Go is three months, but that varies. Dr. Kamali will talk to you about what you can expect before treatment begins. It is estimated that 75% of adults could benefit from teeth straightening, and more adults are seeking orthodontic treatment than ever before thanks to solutions like Invisalign and Invisalign Go. Many people who had braces as a teen did not wear their retainers as well as they should have and are now dealing with the effects of gapped or misaligned teeth. Other patients never benefitted from orthodontic treatment at all and are now deciding to do something about their misaligned teeth. Aside from the obvious cosmetic effects of having crooked teeth, headaches and jaw issues are likely to occur as a result of a misaligned bite. Invisalign Go can help you enjoy the attractive, fully functional smile everyone deserves! If you are interested in orthodontic treatment, please do not hesitate to get in touch with Parkway Vista Dental. We are pleased to now offer Invisalign Go for patients like you -- please request an appointment today!